Posted on April 3, 2011	by Swastioko Budhi S.
Root Cause Analysis (RCA) is a useful process for understanding and solving a problem. RCA is a popular and often-used technique that helps people answer the question of why the problem occurred in the first place. RCA seeks to identify the origin of a problem. 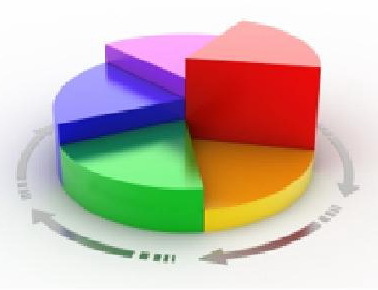 Root Cause Analysis has five identifiable steps. In 2011, Indonesia has 253 oil and gas contract area which consists of 66 PSC is already in production, and the rest are still in the stage of exploration and development. Each PSC have several projects that should be monitored and supervised by the Project Management Division BPMIGAS. Production Sharing Contract (PSC) has operational responsibility for implementing each stage of the project to be consistent with the work and budget targets agreed under the Authorization For Expenditure (AFE) and compliance with applicable rules and regulations. The implementation of each phase can be completed according to Project for work objectives, cost, and quality that have been assigned to the AFE approval process. Occupational Health & Safety and Environmental Protection. Comply with the permit issued by the government and relevant parties. BPMIGAS implement efforts to ensure the project work objectives achieved through coordination and communication with the leaders of PSC project managers who have operational responsibility. 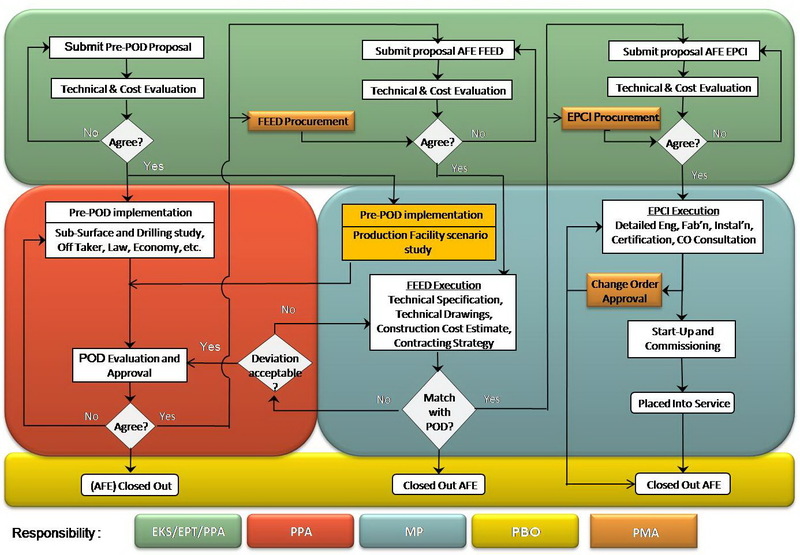 Technical evaluation for production facilities development scenarios (Pre-POD). Assist planning division in evaluating POD, WP&B and AFE for production facilities. Assist operation division for AFE drilling site preparation. Assist procurement division in tendering process and increased local content (TKDN). Assist HRD division for expatriate utilization (RPTKA). Supervision, control and technical evaluation of FEED and EPCI for production facilities. Evaluate “Placed Into Service” (PIS) for Production Facility. Evaluating changes in scope of work and approve change order. Assist operation and general affair division in permitting process. Assist procurement division in the supervision of local content. Helping accounting division in the evaluation of Closed Out AFE. Helping procurement and accounting division in the inventory and elimination of production facilities asset. Organize Forum Project Management & Maintenance (annually). Organize Management Meeting with PSC leader (quarterly). Develop Guidelines for Project Management. Develop Guidelines for Placed Into Service. Web-based Project & Maintenance Monitoring System. There are many oil and gas projects are handled to increase production. Each PSC has its own standards in managing their projects. The absence of standards in reporting project to government. Lack of an online reporting system between PSC and BPMIGAS. Unavailability database to archive data and knowledge management system. Limited people in the project management division BPMIGAS. A lot of the time spent to attend meetings and internal job. Technical capability in managing projects that have not been evenly distributed among workers. Making Project Management Division as a center of excellent for managing project in the upstream of oil and gas industry by applying crossed lesson learned from any activities carried out by PSC. Improving technical skills of workers to handle projects. Increased competence of workers through training programs, sharing knowledge and site visit / field trip. Filling the empty slot with the appropriate personnel. Building a system to manage the archives effectively and easily accessible to support decision-making fast and accurate. Using online systems for monitoring and controlling every stage of the project. Application of knowledge management system as the main tool in carrying out the role as a center of excellence. Improving the ability of workers to communicate with stakeholders to achieve the target to maximize the benefits to the Indonesian state and nation. Each worker understands the general theory of project management based on PMBOK. This entry was posted in Group Member, Swastioko Budhi, Week #2, Weekly Submission. Bookmark the permalink. Excellent job on performing the root cause analysis- very well done. My challenge to you is to compare the PMBOK Guide against Humphreys. And compare PMI’s project centric focus against that of AACE, which includes/incorporates operations and asset management as well. Or to compare PMI’s approach vs that of PRINCE2. Or Six Sigma Approach. My concerns lie with the fact that we have what, 3,000 Indonesian PMPs and over 500,000 PMP’s globally and still projects fail with alarming regularity? FWIW, many of the early adopters of PMI and the PMP, with over 3,000 PMP’s in their company, are now moving beyond what PMI is advocating- why? Because despite having a critial mass of PMP’s their projects still aren’t delivering what they need/want. 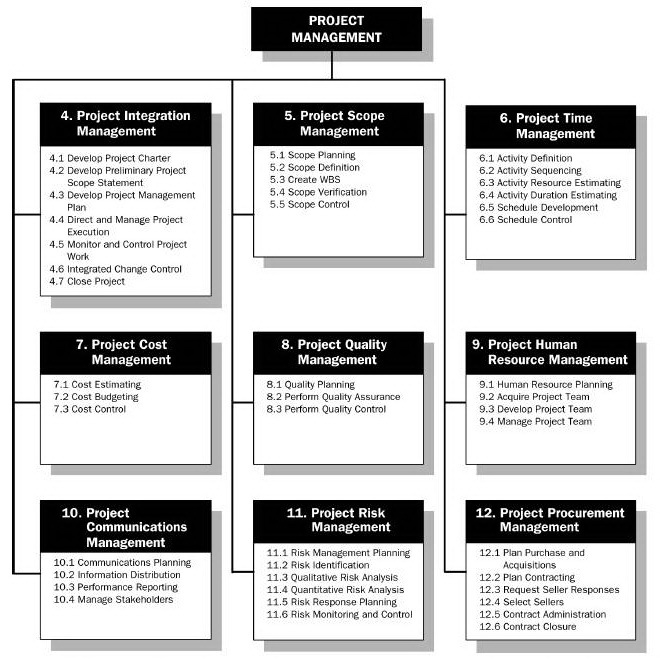 IMPO, project management the way PMI approaches it is not enough. It puts too much responsibility on the project managers, with insufficient authority/control over the budgets, the time frame or even the resources available to them. In effect, it dooms the projects before they even begin. I will accept this weeks posting, but would suggest that next time, it would be preferable if you were to select at least two and preferably three feasible alternatives. Bottom line, you are doing a good job on writing your blog postings, but for next time, I would highly recommend that you follow the Step by Step process shown in Engineering Economy, including the very important Step 7, which is how we/you are going to monitor your recommendation to see whether it is working or not. Highly appreciated PDG for your recommendation. 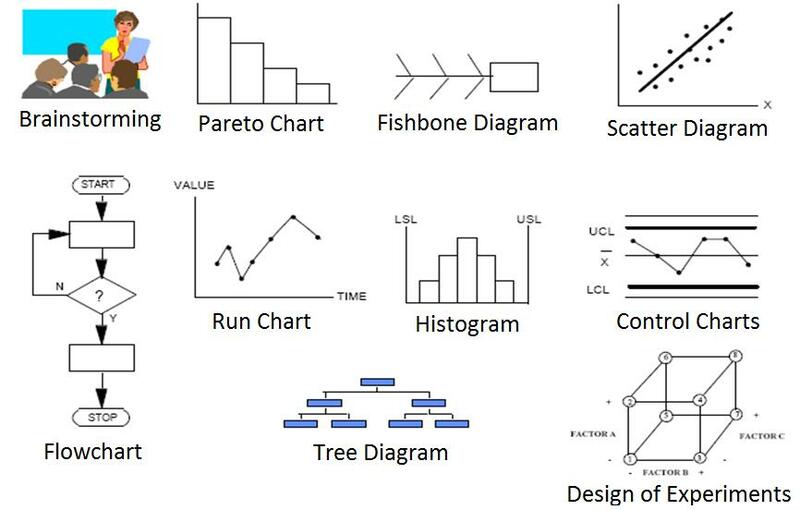 I’m still research the best practices for some PSCs in manage their projects. Of course with literature study from AACE and PMI.